Today, on Mother’s Day, we take time to honour our Mothers and reflect upon the joy they bring into our lives. Despite the joy and festivities that often surround Mother’s Day it can be also be a difficult time for many people. For the woman that has experienced fertility challenges or miscarriage, the one who is single but wishes to be married, the one whose children have caused pain or severed relationship altogether and many many others. Just as we celebrate with the Mothers whose children bring them joy, who daily work hard and sacrifice their own needs for those of their children, we stand beside those for whom today represents something more painful. As I was thinking of the complexity that Mother’s Day represents, my mind wandered to the children at Eagles Wings Children’s Village. Many of whom don’t have a biological mother. 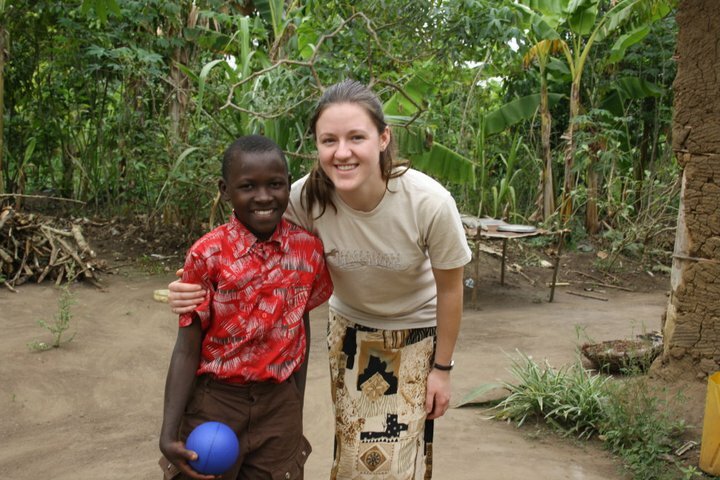 The first time I met my sponsor child Ibra, I went to see him at his Grandmother’s house near the Eagles Wings property. Although Ibra is a family child, meaning he lives at the Eagles Wings property for much of the year, he was on school holiday staying with his Grandmother and other extended family for a short time. After introductions took place, he took my hand and told me he wanted to show me around. As he was showing me around his yard, he brought me to a mounded patch of dirt and told me this was his mother’s grave. My heart broke for the pain this young boy had endured. 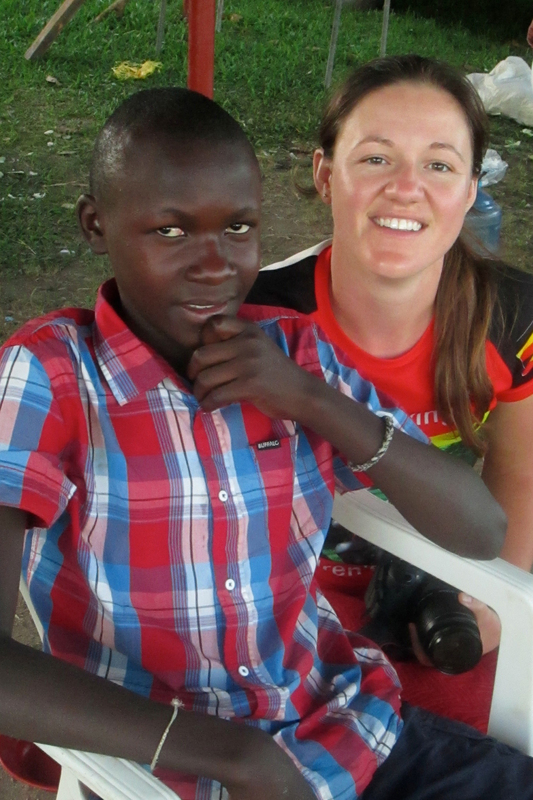 A couple weeks later, Ibra was back at Eagles Wings to start the new school year. I was able to spend a lot of time playing games with the children and getting to know them a little better. Ibra was very shy around me in those early days, and asked his friend Fred to come give me a message. Fred came up and told me he had a message from Ibra. He leaned over and whispered in my ear “Ibra wants to know that you are his Mom.” I looked over and saw Ibra smiling shyly at me and my heart swelled with love. For those next few weeks he would call me Mama Jaimee whenever he got the chance. Although he has since reverted back to the standard title of Auntie Jaimee, I often think of that tender-hearted gesture with fondness. I’m not sure what kind of feelings Mother’s Day brings up for the children at Eagles Wings. But I do know this, we are called to love orphans and widows, to bring good news to the poor, to allow the Spirit of God in us to bind up the brokenhearted, and to trust that the Lord will make beauty from ashes. You and I can join together and love the people around us with a Mother or Father kind of love, walk beside them in their pain and represent Jesus and the hope that He brings. A recent picture with Ibra. He is becoming such a fine young lad. ← Have you Ever Given Everything to Jesus?